* This is the first post in a series focusing on upcoming biophilic design products for the workplace. Have you heard the term biophilic design buzzing around a lot recently? Are you still trying to grasp exactly what that means? Well rest assured, you are not alone. Designs tagged as “biophilic” have been popping up in a big way all over workplaces yet even Merriam-Webster does not have an official definition for the term yet. 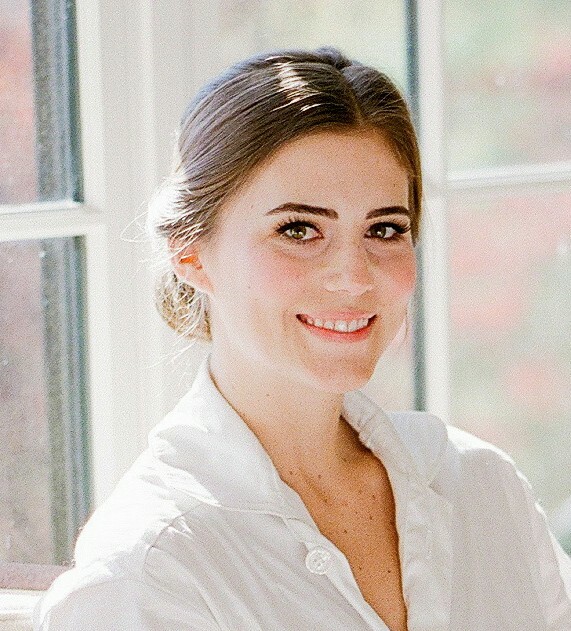 However, the commercial design world is way ahead of Ms. Merriam; embracing biophilic design now more than ever. 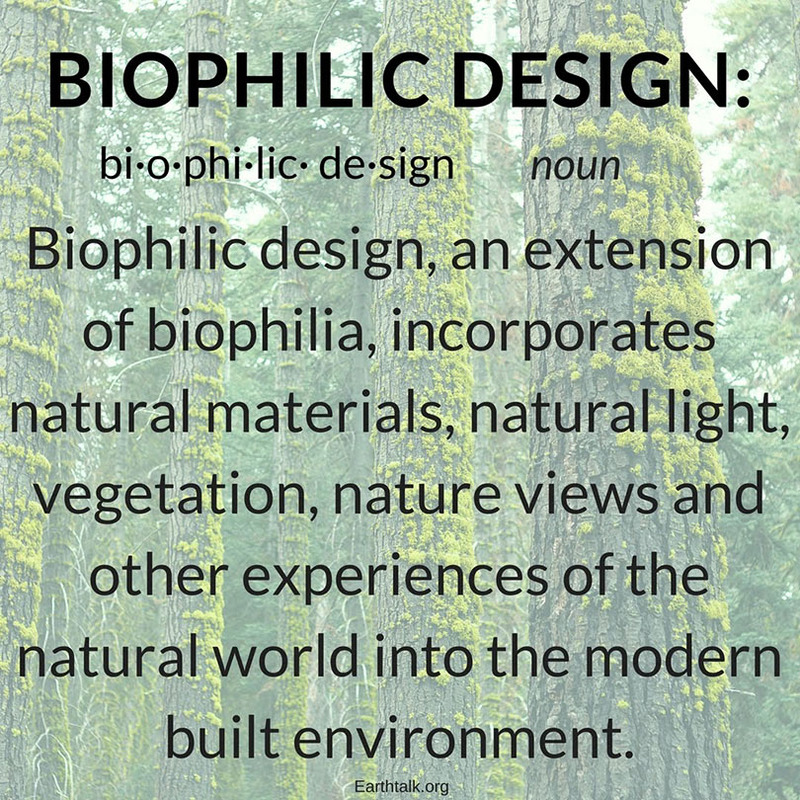 “Biophilic design, an extension of biophilia, incorporates natural materials, natural light, vegetation, nature views and other experiences of the natural world into the modern built environment” (L. Blomberg, earthtalk.org). Biophilia, essentially meaning feeling friendly towards life, was popularized in the late 1970s as a word that encapsulated “the rich, natural pleasure that comes from being surrounded by living organisms” (E.O. Wilson). Biophilic design has furthered the concept and applied the pleasure, as well as the benefits, of the living world into the modern office. 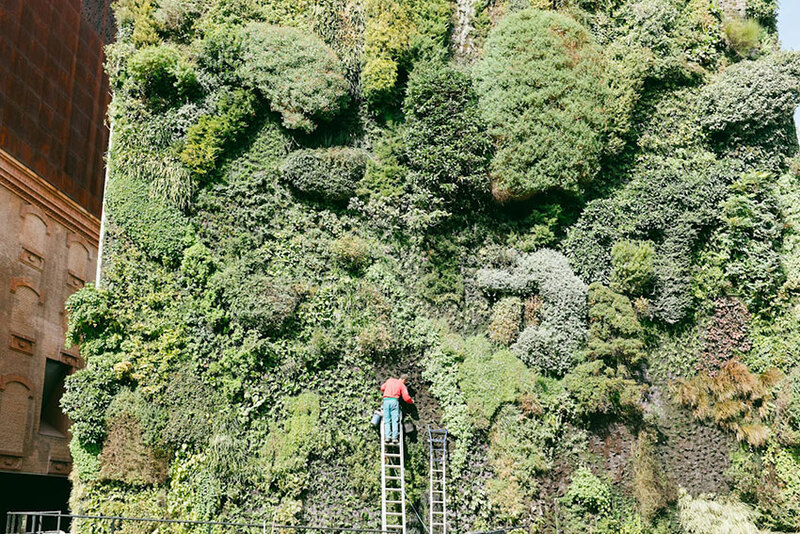 A recent report by Human Spaces (Global Impact of Biophilic Design in the Workplace) studied over 7,500 office workers from 16 countries to determine the effects of nature within the workplace on workers. The numbers were telling: even in offices with rudimentary biophilic design elements (such as good sunlight) employees were 15% more creative and 6% more productive. 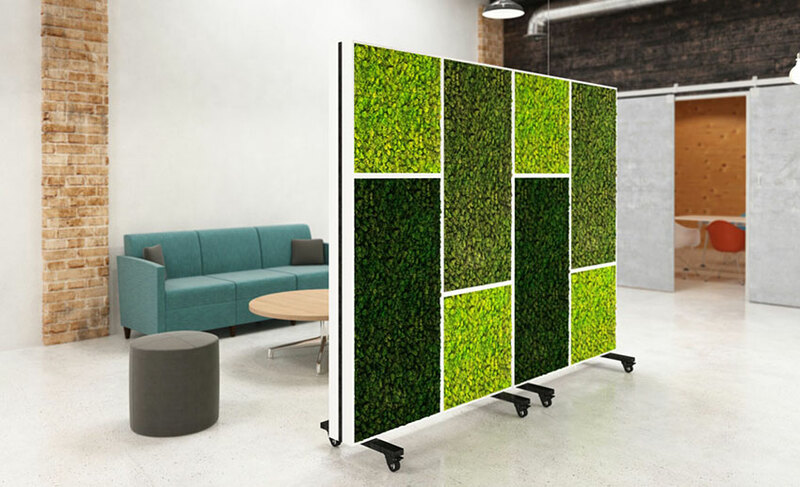 Percentages like that have a significant impact on a business’ bottom line so just imagine the impact that more advanced biophilic design elements, like Bio Canvas and Leaf Living Wall from Nevins, could have on a business. And besides the percentages and the bottom line, biophilic design elements have an impact on what you’re breathing, what you’re hearing, and your brain. Biophilic design is fast making itself one of the go-to buzz terms of 2018. As we continue to explore biophilic designs in this series it will become even clearer why businesses everywhere are eagerly looking to expand the biophilic design elements of their offices to include the beautiful and beneficial properties from nature. 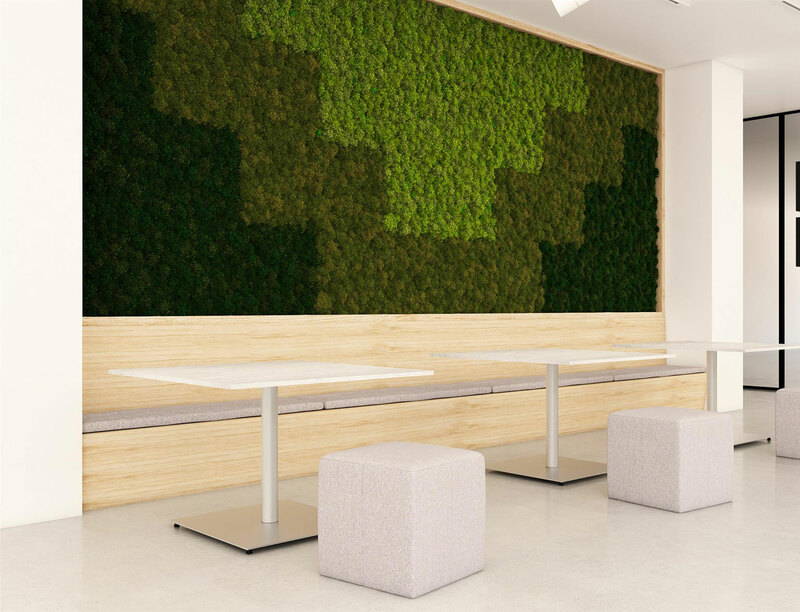 Careful study of the effects these new biophilic products can have on the workplace reveals a plethora of business benefits – with more being discovered constantly. Pretty astounding what a little bit of the outdoors, indoors, can do. | 1-800-231-2744 | sales@nevins.co | © 2018 Nevins. All Rights Reserved.